Perfect for any winter celebration, dance, or party! 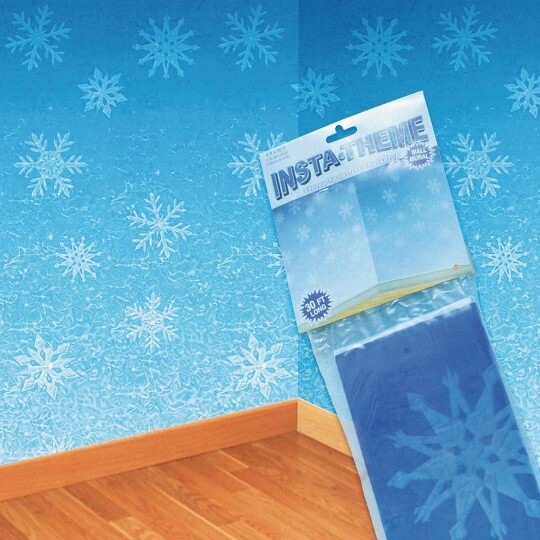 The snowflakes backdrop is printed with many different designs of snowflakes and is made of a plastic material that can be taped to walls for decorations. The backdrop measures 4’H x 30’W.